After getting so many requests from students living in Delhi asking me what are the top colleges they can join in Delhi NCR region for distance education, i decided to write a detailed post on the same. In our today's post we'll write about top institutions & universities in Delhi & NCR offering distance education courses. In this post you'll find details about Universities & Colleges which has their origin from Delhi NCR region & we'll also include some colleges which has their strong network in Delhi. Below is the list of universities offering distance education in Delhi NCR & has their origin from Delhi itself. IGNOU or in our terminology mother of Distance Education in India, has it's origin from Delhi. The open university is located in Maidan Garhi, New Delhi. The university was established in the year 1985 & it's run by central government of India. Close to 3.5 million students has been registered into various distance education courses offered by IGNOU uptill 2013. Not only India the university also has it's presence in 40 other countries in the world. For students wants to join IGNOU, can take admission into any of it's affiliated college located in different parts of Delhi/NCR. 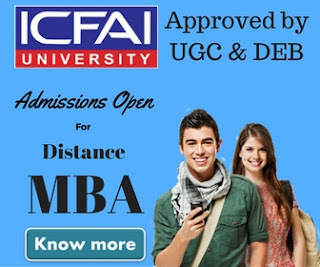 In our previous posts we've already written about various courses offers by IGNOU e.g IGNOU MBA & IGNOU B.Ed, IGNOU M.Com etc. IGNOU offers 175 academic programs through its 21 schools and a network of 59 regional centres, 7 sub-regional centres, 2,600 study centres, and 52 overseas centres. 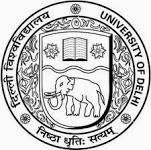 If you wish to know more about these courses & wants to join Delhi University Distance Education read the follow the previous link. 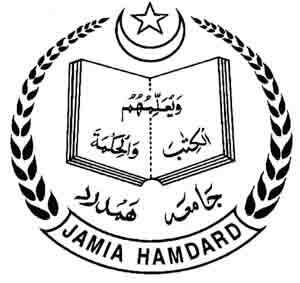 Jamia Hamdard University was established in the year 1989. The university is known for it's courses in Pharmacy, Science, Medicine, Nursing, Management & technology. The university offers more than 10 colleges courses under distance education. 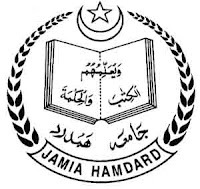 Students seeking admissions into courses offered by Jamia Hamdard university may download an application form from University website. To know more about the university offerings, you can refer to our recent post on Jamia Hamdard Distance Education. Institute of Management Technology, Ghaziabad, is one of the top Management College in India. The institute was established in the year 1980, and also offer various distance education courses under center for distance learning. If you want to join a distance learning MBA program in Delhi, IMT could be the right choice for you. The institute has been ranked #1 in distance MBA by various organizations e.g DNA-Indus Learning Survey, Outlook Ranking, Rankings 2014. If you wish to read a detailed post, you may read the following articles on IMT Distance Learning MBA 2014, IMT Ghaziabad Distance Education. Amity is another top private university located in Noida (Delhi NCR Region). The university offers various distance education courses & open learning courses. The university ranked among the top universities in India offering distance education. The university offers courses recognized by DEC & UGC. As of now the university is offering more than 50 courses, which includes Masters programs, under graduate courses, PG diploma courses & certificate programs. 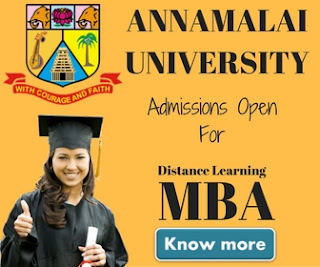 Being a Distance Education Blog, we've already written an article about Amity Distance Learning MBA & It's review. There are few good universities which don't have a origin from Delhi but offering quality education in Delhi through it's study centers. SCDL is known for its distance education MBA course. Every year thousands of students get enrolled into distance education MBA program offered by Symbiosis. In our earlier post we've talked about those courses. 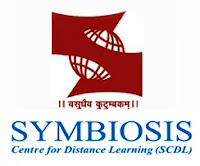 If you wish to take admission into Symbiosis, you can read Symbiosis Admission Procedure here. We also get a chance to interview a Symbiosis Alumni, you can read the interview to get insights. You can also read Symbiosis Fee Structure here. Sikkim Manipal University is another top university for Distance Education. The university has got many awards for its quality education & ranked among top 5 universities in India. The university has it's study centers in Delhi & students seeking admission into any course offered by Sikkim Manipal may contact any of the study center. You can read about Sikkim Manipal Distance Education MBA here & about Other Courses here. All the universities & institution we talked about above are top in Delhi NCR region. Hope you must have liked our efforts. If you have any question to ask, feel free to use our contact us section.